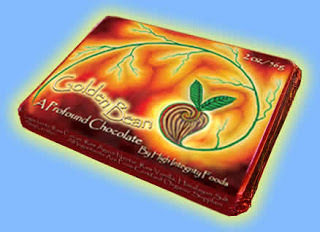 High Integrity Foods brings you Golden Bean, a sumptuously raw organic chocolate bar based on the harmonic principles of the golden mean spiral. Years of research and development as a raw food chef led Matt Samuelson into the sacred world of raw cacao. His time and efforts have produced this fine product. Matt only uses the finest raw ingredients for these hand crafted bars. Chocolate is a noted antioxidant, chocolate contains high amounts of polyphenols and flavonoids both known to assist our health in many ways. Chocolate just may contain the highest concentration of antioxidants in food, with up to 10% antioxidants by weight. Raw chocolate is also a supplies an ample amount of vitamin C and minerals. Most notably magnesium and chromium, two minerals essential for healthy brain function and blood sugar balance. Raw Agave nectar is the product of the agave desert plant, which secretes a thin sweet, low glycemic nectar. Agave contains more fructose than glucose, which imparts sweetness but nominally effects the bodies blood sugar balance. This combination of sweetness and low-glycemic index make it a perfect compliment to chocolate's health properties. The bar is also seasoned with organic raw vanilla bean and himalayan salt which enhances the balance of flavors in the bar. There is also less than 1% of organic non-gmo soy lecithin, this enhances the creamy texture and smoothness of the bar. This artful bar is bold with chocolate flavor yet smooth on the palate, take a bite and you know why chocolate is known as 'Food of the Gods'. 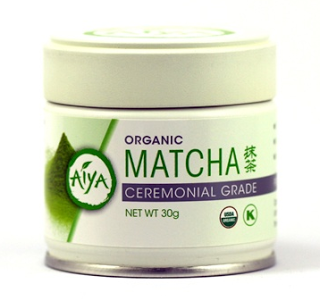 Our organic matcha is from an 800 year old tencha tea plantation in Japan. These ancient plants produce high quality green tea and are specially tended to ensure the end product is sweet, bright green and fresh. Once the leaves are harvested they are hand inspected and sent to a modern facility for processing. Granite grinding wheels slowly grind the tea to a fine emerald green powder. Grinding temperature never reach above 70 degrees F, making it suitable for those on a raw food diet. Matcha is superior source of vitamins, minerals, amino acids and other healthy compounds. It contains 10-15 times more nutrients than regular brewed tea. Matcha promotes calm clear energy due to the presence of the amino acid theanine. Theanine is unique to all varieties of tea and matcha contains a high percentage of this compound being that it is in a whole leaf in a fine powder form. Theanine supports alpha brain wave function. Alpha brain states are induced by massage and relaxation they assist with studying, meditating and learning. Matcha gives you 100% of the nutrients of green tea in a balanced versatile whole food powder. Other compounds found in matcha are chlorophyll, vitamin C, zinc, beta carotene, calcium, potassium, protein and iron. To use: Blend 1 cup hot water with 1 teaspoon of matcha. Add it to chocolate smoothies, berry smoothies or fruit smoothies. 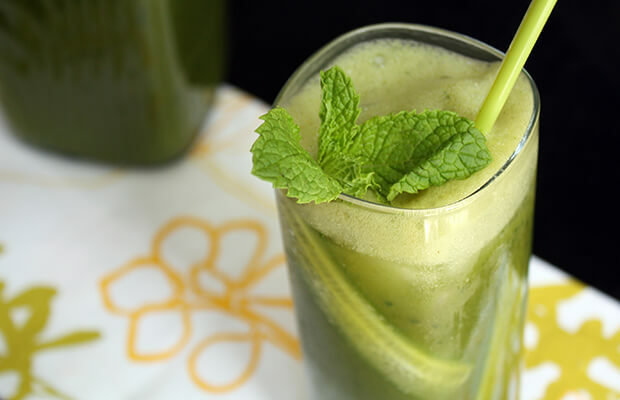 Try mixing it with ice cream to create a green tea ice cream. Let your imagination guide you . . .
To purchase our stone ground organic Matcha, and other fine teas, visit the Zebra Organics store. This piece was written and compiled for Zebra Organics by Mark D'Aquila, flower essence practitioner, www.essencealchemy.com.